Mac Mavericks is the tenth update to OS X also referred to now as MacOS. Released in 2013, the update mainly focused on improving battery life, better iCloud integration, improvements to Finder and a couple of other enhancements primarily aimed at power users. The update was named after a surfing location in California and happened to be the first major release by Apple which was related to their home state’s famous area. OS X Mavericks can run on any Mac computer 2 GB of RAM and around 8 GB of free storage space available. That said the vast majority of users have complained that Mavericks has slowed down their machine. We will look at a couple of things you can do to improve its performance. The easiest way to speed up OS X Mavericks once it has been downloaded and installed is to ensure that all of your software is up-to-date and compatible with the new operating system. Plus, make sure to apply ‘App Updates,’ which you can get from the App Store. If not all of your software comes from the official store, it’s possible that third-party apps are strangling Mac performance. A simple way to determine, which apps are causing problems is to take a look at the roaring Apps Application Compatibility List. Remove all the incompatible applications until their developers update them to work smoothly with Mavericks OS. Restart the computer while pressing the Command-R key, which will take your Mac into Recovery Mode. When there, run the Disk Utility and choose ‘Verify and Repair Your Disk and Disk Permissions.’ Then restart the computer. When optimizing your Mac, Mavericks OS X has to rebuild the operating systems Spotlight index. The process is obviously time-consuming and will degrade the performance when running until it is complete. If your Mac is slowing down, click on the Spotlight icon located on the top right of your display to check if it is indexing. If it is, you’ll see a dot right in the middle of the looking glass icon with a message indicating that the operation is in progress. You should allow it to complete before you see significant performance improvements. Even after Spotlight finishes indexing files, you may notice that things are slow. If that’s the case, then launch the Console and Activity Monitor. The Activity Monitor shows all the apps running and using the most memory. The Console will show more complex system events. Using both tools, you should be able to narrow down applications and processes that consume the most system resources. Watch out for apps, which leave strange messages and numbers in the Console, or ones that use a large chunk of Memory (visible from the Activity Monitor). Apparently, closing or uninstalling the culprits that use the most resources will speed up performance. Open up the ‘Activity Monitor’ and click on the ‘Memory’ tab to see how much memory the cache is using. In Spotlight type ‘terminal’ – it will open up the terminal window. People who want to avoid all the steps mentioned above can use automated tools like OS X Mavericks Cache Cleaner. The tool enables users to clean the cache with a single click. Also, the utility scans for viruses and has many advanced options. Even though the app has the term ‘Mavericks’ in its name, the tool can be used in OS X 10.4 Tiger and above. Nobody wants to end up with a sluggish computer especially after they have updated their OS X to the latest version. While the installation procedure may appear to have taken care of everything, users still need to take steps to improve performance and stability. 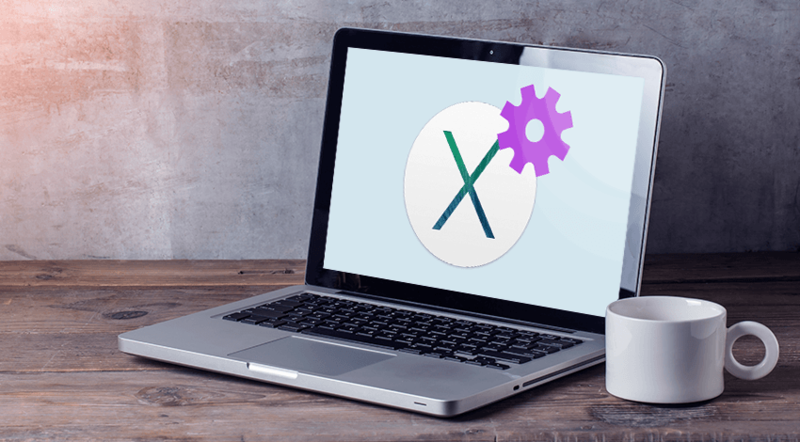 If you want to avoid performing these measures manually, then a tool like Mavericks Cache Cleaner should help you automate the process.